Maritime Lawyers | Cruise Ship Accident Attorneys - LMAW, P.A. Focusing on maritime and admiralty personal injury claims against cruise lines and other boat owners, our lawyers represent passengers and crew injured on ships worldwide. Representation may be available for passengers and crew injured in accidents, assaults, or by reason of illnesses on cruise ships, tankers, motorboats, personal water craft or many other types of vessels. Lipcon, Margulies, Alsina & Winkleman, P.A. is comprised of nationally-recognized industry leaders in the field of maritime and admiralty law. Our team of attorneys boasts over a century of combined experience, has successfully handled over 3,000 cases, and has recovered hundreds of millions of dollars for our clients. 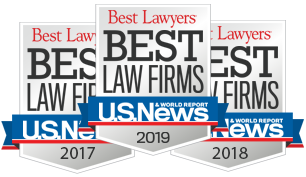 We are the only plaintiffs maritime and cruise ship firm in the United States that has been named to “Best Law Firms” by US News & World Report on a national level, and also has four attorneys named to “Best Lawyers”. It is achievements such as these that have earned us the reputation as America’s leading maritime lawyers. Our willingness to take a case all the way to trial (and our record of success) has earned us a reputation as aggressive, results-oriented legal advocates and has given us the ability to take on entities that have significant resources at their disposal. If you have been injured or assaulted at sea, let us put our experience to work for you. I have produced documentaries for some of the most highly respected firms throughout the United States and LMAW is as good as they come. In fact when it comes to cases against Cruise Lines, I know of none better. Keep up the good work with trying to make these floating cities safer for everyone! I would like to thank Lipcon, Margulies, Alsina & Winkleman, P.A., especially Richard Alsina and Sylvia .Thank you so much to Ms. Grimaldi Mr. Alsina and all people involved to make my case done quickly. You all are awesome and always answer all my questions. I really appreciate your hard work. So professional. I highly recommend this firm. God bless you for being swift on my case. Mr. Winkleman and Ms.Garcell are the best team of lawers who believe in fighting for their client’s rights. An honest team with integrity who will achieve your best interests. They were always accessible when I had a question and they went above my expectations for my case! The best law firm without competition! I had a marvelous time working with Mr. Alsina, Ligia and Sylvia Grimaldi. Specially, Sylvia, who was the closest contact I had with the company. I was impressed the way she answered to me the emails and phone calls. Suffering an accident, was painful. But I had the feeling I could rely on this amazing team to handle all the complex stuff I don’t know nor understand. I am very grateful. They exceeded my expectations. I would like to thank the law firm for cooperation and successful completion of the process. Especially for Sylvia Grimaldi, for her patience and willingness to answer any question. They are extremely professional and responsible, if you need help, their company is the right place to contact. Good luck in further work. I am impressed with this law firm! There are a lot of law firms that claim to do maritime…cruise injury cases… and then you ask them or look on their website for examples and they can only give you a few. Not this firm. They have the reputation and unlimited examples of their cases and successes to back it up! Also they were very good patient with me that I am deaf and talk thru Sorenson relay. They are really greatest law firm. I am impressed with this law firm! There are a lot of law firms that claim to do maritime…cruise injury cases… and then you ask them or look on their website for examples and they can only give you a few. Not this firm. They have the reputation and unlimited examples of their cases and successes to back it up! I’ve had the best experience with your team. Thank you a lot for all your moral and legal support. My case was soled promptly, very profesionaly from Sylvia and all her team! Thank you so much to Ms.Grimaldi, Ms.Realin, Mr. Alsina and all people involved to make my case done quickly. You all are awesome, always answer all my questions. I really appreciate your hardwork. So professional.. I highly recomend this firm. Thank you Ms. Grimaldi, Ms. Realin, Mr.Alsina and all the people involved in my case. They answered all the time at my questions when I needed to know answers. Excellent service. I highly recommend. I would like to thank all of the staff at Lipcon, Marguilies, Alsina & Winkleman, P.A., especially Ms.Grimaldi. She was very helpful to me, she answer all my questions. My case was finished really fast. Thanks a lot and god bless u all. I was referred to this awesome firm for an accident on a Celebrity cruise line. Attorneys Sylvia Grimaldi accepted the case and we started, Whenever I called, I felt I was the most important client she had – she had great professionalism and personalize my case. After 1 years and months of emails, phone calls and a few encouraging moments we overcame with the victory, My God i am thankful for great people like Attorneys Sylvia Grimaldi who encourage me all the way. A truly Great Firm and i Bless the Lord Jesus for them all and pray the success of the firm and all it endevours and staff without whom this would not be possible. Praise the Lord Jesus and His love to the staff and families and clients and my regards to my lawyer Ms Sylvia Grimaldi, she is bless beyond my words. Ms Sylvia Grimaldi not knowing me but give me hope in this case when i give up she knew that the bigger the task the more time it takes and was will to put her all in helping me to win and that we did, Thank you. Thank you All. I would like to thank all of the staff at Lipcon, Marguilies, Alsina & Winkleman, P.A., especially Jason Marguilies and his paralegal Maggie, for their support and hard work during my lawsuit. They were extremely helpful throughout the whole experience and were always happy to answer any questions I had regarding the case. I would highly recommend this firm to anyone needing legal advice in a cruise ship related case. My experience with Michael Winkleman and his team started when i failed to find someone in my home country of Australia who could deal with my shipboard accident. I have been thrilled with the service and genuine care Michael and his team took in dealing with my case. Distance was no problem to the team with communication, questions and prompt replies. I thank the wonderful people at Lipcon, Marguilies, Alsina & Winkleman for the positive outcome. I highly recommend this company to anyone suffering a shipboard accident. I was referred to this awesome firm for an out-of-state NON-cruise line case. Attorneys Lipcon and Winkleman accepted the case and we started gathering information, Whenever I called, I felt I was the most important client they had – extending extraordinary professionalism as well as personalizing my case. After several years of emails, phone calls and Skype, I finally met these two wonderful men in person at the litigation; I felt like I was meeting with longtime friends. The outcome was more than I expected – they were with me the whole way – encouraging me and keeping me going, THANK YOU ATTY LIPCON & ATTY WINKKLEMAN! My experience with Lipcon, Margulies, Alsina & Winkleman, P.A. was nothing but positive. I worked mostly with Michael Winkleman with minimal contact with his wonderful staff. Mr. Winkleman is of the utmost integrity. His honesty, professionalism, and kindness is refreshing and commendable. His plethora of knowledge pertaining to maritime law is supreme which allows him to be straightforward and realistic, as well as a force you want in your corner. He and his staff were always available to handle my questions or concerns. They always made me feel important. They were always concerned about the best interests of my family. I really feel that you cannot have a better firm representing you than Lipcon, Margulies, Alsina & Winkleman, P.A. They are the best for a reason. Their knowledge, experience, and integrity speak for themselves. I highly recommend the law firm of Lipcon, Marguiles, Alsina & Winkleman, P.A. and each of the individual lawyers working with that firm to anyone with a personal injury or a maritime related case. I had the great opportunity to work with and meet all of the lawyers at this firm this last year when they represented me in regard to my personal injury case against a prominent shipping company. The attorneys, Lipcon, Marguiles, Alsina and Winkleman, are very experienced, talented and thorough. They are willing to take cases to achieve a just result even if that case requires additional work to clarify law that has not yet been decided by our courts. The attorneys Lipcon, Marguiles, Alsina and Winkleman always returned my telephone calls and emails promptly and did not leave me waiting and wondering what the status of my case was. They answered all of my questions when I needed to know answers. Their trial preparation was extraordinary. It was an economical approach that did not waste my money through unnecessary expenses. Their presentation at trial was magnificent and masterful. Their thorough preparation allowed them to present my story in the manner I needed to achieve and dealt with all of the obstacles and hurdles presented by the Court in an efficient and effective manner. I would call the firm of Lipcon, Marguiles, Alsina & Winkleman, P.A. in the future, if I ever encounter a situation or personal injury that requires legal representation on my behalf. I have full trust in this firm and recommend them to others without any reservation whatsoever. Grateful to have found this firm to represent me. Excellent service. Professionals !!!!! A very satisfied client . Only the best words for you. CASO CERRADO Y EXITOSO EL QUE YO JORGE DELGADO, HE TENIDO GRACIAS A USTEDES. .ESPECIALMENTE A LASRTA SILVIA GRIMALDI Y AL DR RICARDO ALSINA QUIIENES ESTUVIERON SIEMPRE LUCHANDO POR MIS DERECHOS DE MI LESION, EN LA Q TUVE CON LA COMPAÑIA EN LA QUE YO HABIA LABORADO DURANTE TIEMPO.. LE AGRADESCO DE TODO CORAZON POR ESTAR SIEMPRE USTEDES PENDIENTES Y EN TODO MOMENTO PONIENDOME DE CONOCIMIENTO COMO IBA EL CASO .. HAY MUCHOS MERCANTES Q NECESITARAN SIEMPRE DE SU AYUDA Y YO SIENDO UNO DE ELLOS QUE PASE LO QUE PASE SOLO LES PUEDO DECIR Q CONFIEN EN ESTA FIRMA DE ABOGADOS . LIPCON, MARGULIES, ALSINA,AND WINKLEMAN .P.A Q VERDADERAMENTE LUCHAN POR LOS DERECHOS DE NOSOTROS . A ESTA FIRMA Q ME HA AYUDADO MUCHISIMO EN TODO ME QUEDA DECIRLES DIOS SIEMPRE LOS GUIE POR UN BUEN CAMINO Y LOS PROTEJA Y AYUDE SIEMPRE PARA SEGUIR AYUDANDO A LOS QUE LO NECESITAN … GOD ALWAYS BLESS YOU !!!!! Great law firm Sylvia Grimaldi worked very hard to get a fair judgement for me as she a dedicate to work for the best and fairest settlement for her clients. I highly recommend her to represent anyone with a case against a cruise lines. Working with this firm was a rewarding experience . They were extremely kind and helpful. I would recommend them to everyone who has had an injury on a cruise ship. My lawyers were Marcus Weiner and Michael Winkelman who kept me informed on my case. I am very grateful for them both. Excellent law firm representation Jaqueline Garcell worked long and and hard to get a fair judgement for me. She is is dedicated to working for the best and fairest settlement for her clients. I highly recommend her to represent anyone with a case against a cruise lines. The best lawyer I have ever met. Very compassionate and kind to her clients. I want to thank the staff at LMAW, PA, especially Mr Winkleman, Ms Garcell and Ms Martin. They were very responsive to addressing my concerns and keeping me up to date of the progress of my lawsuit. I appreciate all their hard work and everything they did to make sure my best interest was represented in the suit. I highly recommend them! I had an accident in a cruise ship company. The company only paid the medical treatments, doctors and a small salary till my Doctor signed that I felt ok, and fit for duty. But suddenly I was not fit for duty anymore and I had to go back to the Doctor. I contact the Cruise Company, and they didn’t care anymore because my Doctor signed already that I was fit for duty and Ok. For 2 years I realized that what the Cruise Company did was not ok, and it was time to take action. To sue the Cruise companies for medical issues there is a dead line of 3 years, and I was in my 2 years and 10 month when I decided to find a Lawyer. I contact some lawyers and they said that it was not enough time to sue the Cruise ship company, others they were taking more percentage and money because they had to do everything in a hurry, and I found Lipcon, Margulies, Alsina & Winkleman. The adjuster Sylvia Grimaldi, contact me, she called me to Spain, she said that we had to start working as soon as possible in my case otherwise I couldn’t do anything to sue them. She explained me everything in my mother language, Spanish, and she was really efficient. I was impressed. She took care of everything and after 2 months, I got compensation from the them. I am not going to work anymore in cruise ships but if I would have any issue again, or if I would have to recommend any cruise lawyer to anyone, for sure I will recommend Lipcon, Margulies, Alsina & Winkleman. Thanks for all your help, especially to Sylvia. A big thank you to Mr. Richard Alsina, that I would like to express my heartfelt gratitude to you for all the care and concern you have shown me on your efforts, and for working tirelessly to ensure that the law worked in my favor. If it weren’t for your analytical skills and knowledge, the matter wouldn’t have been settled by now. Thank you for your assistance and prompt responses. You really went the extra mile and did more than enough to help me. A BIG thank you to everyone from Lipcon, Marguilies, Alsina & Winkleman, P.A. for solving my case in a highly professional and timely-manner! Special THANK YOU to Mr. Jason Marguiles! His expertise are exeptional! All while being very approachable, dedicated, helpful and always there to answer any question! Trust-worthy! Very reliable! Highly recommended!signed that I felt ok, and fit for duty. But suddenly I was not fit for duty anymore and I had to go back to the Doctor. I contact the Cruise Company, and they didn’t care anymore because my Doctor signed already that I was fit for duty and Ok. For 2 years I realized that what the Cruise Company did was not ok, and it was time to take action. To sue the Cruise companies for medical issues there is a dead line of 3 years, and I was in my 2 years and 10 month when I decided to find a Lawyer. I contact some lawyers and they said that it was not enough time to sue the Cruise ship company, others they were taking more percentage and money because they had to do everything in a hurry, and I found Lipcon, Margulies, Alsina & Winkleman. The adjuster Sylvia Grimaldi, contact me, she called me to Spain, she said that we had to start working as soon as possible in my case otherwise I couldn’t do anything to sue them. She explained me everything in my mother language, Spanish, and she was really efficient. I was impressed. She took care of everything and after 2 months, I got compensation from the them. I am not going to work anymore in cruise ships but if I would have any issue again, or if I would have to recommend any cruise lawyer to anyone, for sure I will recommend Lipcon, Margulies, Alsina & Winkleman. Thanks for all your help, especially to Sylvia. Thank you for helping me in my case, you are one the best there is in Maritime Law Firms Worldwide, I will refer you every crew member I know, you rock Michael W. All your team efforts and your expertise were an A+ to make justice happen towards me and my loved ones. I can literally say I got a few million reasons to affirm this firm is Highly Recommended!! !